Company: It is suitable to keep Xanthichthys mento (Redtail triggerfish) with organisms which are familiar to it in the wild. 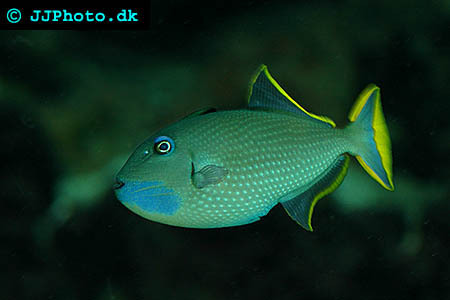 Aquarium Setup: Xanthichthys mento (Redtail triggerfish) is a strong, adaptable and intelligent fish. It needs a large aquarium with plenty of things to explore and play with. The water must be clean, well-filtered and properly circulated water. Redtail triggerfish must have a rocky reef to wedge itself into when it sleeps, otherwise it will not feel secure. Food: Xanthichthys mento (Redtail triggerfish) eats mollusks, crustaceans, zooplankton, corals and small fishes. You can feed them almost anything in captivity, as long as it is nutritious. 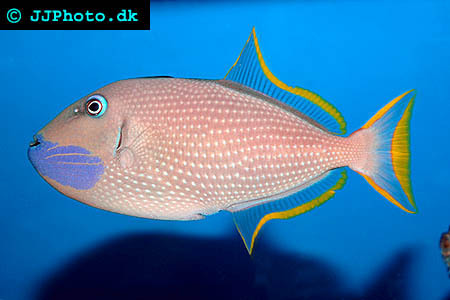 Breeding: We are unable to provide any information about Xanthichthys mento (Redtail triggerfish) breeding in aquariums.